While the fire in a Delhi hotel, killing 17 people, is making headlines, Rafale has once again taken flight with the tabling of CAG’s report in Parliament and N. Ram’s latest `exclusive’, in The Hindu, the third in a week. Except, is it an exclusive? Ram’s “Rafale deal not on ‘better terms’ than UPA-era offer,” provides documentary proof that three members of the “Indian Negotiating Team (INT) came to a well-substantiated and clear conclusion” that the final deal for 36 jets “was not on ‘better terms’” than the UPA government’s deal for 126 aircraft. The dissenting note, accessed by Ram and reproduced on inside pages, points out flaws, from higher pricing to a lengthy delivery schedule. 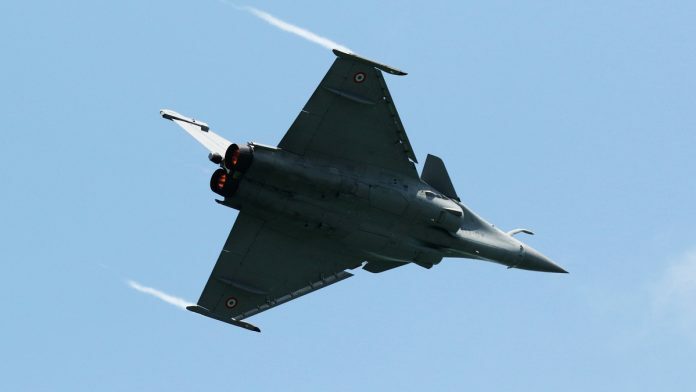 Three #Rafale negotiating team members recorded concerns over pricing, cost of India-specific enhancements, non-consideration of a discounted offer by the competitor and key objections on benchmark price. When former Defence Ministry finance head first came on record to say "Rafale letter of comfort gives little comfort, no guarantee future (French) govt will honour it"
The major and discernible difference is that Ram has reproduced the note whereas the other two quoted from it. The Delhi hotel fire is today’s lead in all Delhi editions of newspapers – and makes it to the international media too. New York Times, in an early report makes a crucial point, Indian newspapers bury. In “Towering Flames and Blocked Exits Leave 17 Dead at New Delhi Hotel,” it writes that “as panicked guests searched for a way out, they found, to their terror, that the emergency exits were locked”. Newspapers here highlight the injured and dead “including an IRS officer and the chef who tried to escape from the blaze by jumping off the five-storey building…a woman from Myanmar… jumped to escape the fire” (HT), how smoke “spread swiftly through AC ducts” (TOI) and “travelled upward and quickly turned the establishment into a death trap” (IE). Three papers consider the IT sector: TOI, Express write on summons to Twitter’s Jack Dorsey by the IT parliamentary committee, Business Standard considers the IT draft guidelines rules of December 2018. TOI thinks Modi’s “excellent work in wooing foreign investment…could be nullified by an excess of nationalist frenzy and regulatory zeal,” in such dealings. BS is worried by draft guidelines for IT Intermediaries Rules in “Effective Regulation.” “(This) tightens the web of surveillance and censorship, bringing private parties into the Act…. This implies a loss of privacy and anonymity for social media users.” It also uses “very broad, undefined terms” for content that is to be removed. To ask intermediaries to “trace” content creators within 24 hours, impossible without “breaking encryption,” and to set up technology to identify content, could lead to “private sector censorship,” it writes. The fire in a Delhi hotel was tragic enough to attract Mirror Now and News X but other major English news channels stuck to the Rafale deal. On CNN News18, anchor Maha Siddiqui and Congress’s Aadil Singh Boparai interrupted each other with Siddiqui wondering if the MoU mentioned in the e-mail quoted by Gandhi, referred to Rafale or other military acquisitions. This irritated Bharatiya Janata Party (BJP)’s Naresh Taneja: “Why are you giving him so much time? Keep quiet,” he admonished Boparai. Asked if his party would “accept” the CAG report on Rafale, Trinamool Congress’s Monojit Mondal said CAG did not deal with the Ambani angle: “It has no jurisdiction on the partner in the deal,” he explained. India Today’s Shiv Aroor also discussed the Rafale deal. On Aaj Tak anchor Anjana Om Kashyap played a video of a Samajwadi Party (SP) worker being beaten up by a police officer in Uttar Pradesh during the party’s protests against its president Akhilesh Yadav being prevented from visiting Prayagraj and Allahabad University.